In a world filled with strong competition in almost every industry and for almost every product or service, businesses that establish an emotional connection with their customers will have a competitive advantage. Successful companie know this and use emotional connections to drive customer loyalty and sales growth. "Meconomics 101" breaks down how these companies do this at the most basic level so readers can build their own engaging and customer-attracting marketing and sales campaigns. Meconomics 101: 16 Ways to Improve Your Marketing, Selling and Business Management for Today’s Consumers asks readers a very simple question. “Do business owners know what consumers really want?” The book makes the case that consumer purchases are a little more emotional and a little less rational than marketers typically assume. It shows readers how they can leverage customers’ emotions to gain a competitive advantage in a world where consumer loyalty can literally stop and start with a click. What is Meconomics 101 About? Meconomics 101 opens with a very paradoxical situation. As everyone knows, the recession took a heavy toll on the economy, especially in the area of consumer spending. While most industries suffered a loss, there were some industries that actually thrived: fast-food restaurants, day spas/nail salons, BMW/Mercedes, and Starbucks. Why did these industries survive while other industries floundered? They helped customers satisfy their financial and emotional needs (to escape, feel special, feel less stressed). This focus on consumers buying things for emotional needs isn’t something that gets a lot of attention. Traditional business advice still assumes that selling is a rational process. Under this model, consumers buy things that primarily offer the best financial return on their investment. As a consumer, for example, you don’t buy a loaf of bread for $10. You buy that bread within the reasonable range of $2-$4. On the other hand, as a consumer, you might decide to skip the bread and get a Starbucks coffee because you’ve had a stressful day at work. The Starbucks coffee has limited use in this situation (one-time use), but your emotional needs are the priority, even if you have to pay extra to get it. This is the world that author Brian E. Gracon wants business owners to understand when they interact with customers. Customers, whether they are B2B or B2C, buy rationally, but they also buy emotionally. Companies that understand this and actively cultivate certain emotions will have a stronger advantage over similar brands in their industry. In a world filled with options for almost every product, emotional attachment can serve as a key differntiator between similar brands. After earning a Ph.D. in chemical engineering, Gracon spent over 10 years as an award-winning marketing trainer, launching his own business in 2006. He is an author, trainer, management consultant, and owner of Brian Gracon & Associates as well as the senior lead instructional designer for Prospero Learning Solutions. What Was Best About Meconomics 101? The best part of Meconomics 101 is the simple and adaptable approach that the author applies to consumer psychology. 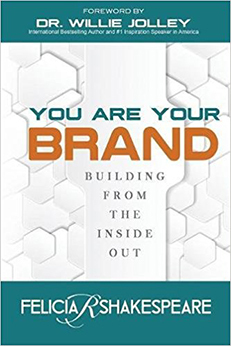 Gracon’s book focuses on the three primary emotional drivers and shows how the most successful businesses were able to seamlessly integrate those emotional drivers into their marketing (Apple is a good example that is used in the book.) The book then breaks these examples down to their basic level so readers can apply the principles to their own marketing. Meconomics 101 focuses on the emotional implications in the sales process, something many business professionals tend to forget. While this provides an excellent base to start from, more information is needed to help readers create consistent messages across different channels. Adding more information about adapting the book’s principles into an example of a full-fledged campaign could help with this. More and more marketing books are focused on the numbers in the sales process (clicks, social media metrics, sales). This is a necessary part of marketing, but it can also lead to dangerous assumptions. A business might assume they “know” what their customers want without checking to see if those assumptions are true. Meconomics 101 asks readers to reconsider and test those assumptions. 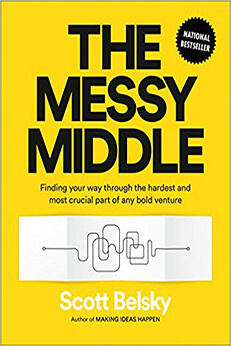 If your business is having a hard time attracting or connecting with customers, this book provides an easy framework for breaking down and leveraging the emotional and mental obstacles that could get in the way of your sales. It is a new term for me. Meconomics. It is interesting because it is all about responding to the needs of the customers.